Our work is focused on the enrichment of communities through architecture. 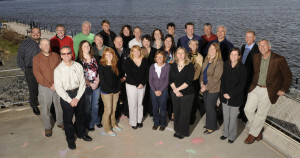 DSGW is a Minnesota firm with offices in Duluth, Virginia, Grand Rapids and Lake Elmo. Since 1938, DSGW has attracted clients who are active in their communities and want to play a proactive role in determining what is built within them. We apply both classic and contemporary techniques to develop cities, buildings and interior spaces that exceed client expectations. Whether working with local leaders to pass referendums or responding to a health care provider’s requirements of a thoughtful design approach for a healing environment, DSGW listens to client expectations. Our clients’ dreams and aspirations help us to deliver enduring buildings that bring communities together. As a member of the US Green Building Council (USGBC), DSGW Architects is committed to sustainable, energy efficient, environmentally minded design.